Brazil has stood out in recent years as one of the most active jurisdictions in competition enforcement, and 2017 confirmed this trend. After five years of enforcement under the new Brazilian Competition Act,2 which entered into force in May 2012 and introduced a new system that concentrated the roles of three competition agencies into one, the new pre-merger review system, and also the revised rules to create better incentives and provide more legal certainty to leniency and settlement agreements, have both enabled the Administrative Council for Economic Defence (CADE) to function at a higher level of efficiency and improve the quality in its investigations and decisions. There has been an increase in the number of mergers reviewed by CADE’s Administrative Tribunal, as well as in the number of transactions subjected to substantial scrutiny and opposition, and even effectively blocked by the authority. In 2017, CADE blocked high-profile mergers such as the Estácio/Kroton tie-up and the Ipiranga/Alesat merger, and imposed heavy conditions to approve other notable mergers such as AT&T/Time Warner. This may be interpreted as an indication that CADE is raising the bar of its approach to merger control in complex transactions. In mid-2017, a new General Superintendent, Mr Alexandre Cordeiro, was appointed by the President to replace Mr Eduardo Frade. Under his command, in 2018, the SG is expected to reinforce the relevance of cartel prosecution by continuing to foster its leniency programme and other investigative tools for anti-cartel enforcement. The number of settlements in cartel cases has increased significantly, and more settlements are expected to be executed in the near future. In addition, according to public speeches of the new General Superintendent, unilateral conduct investigations are expected to have a more prominent position in the following years. On the merger control front, the amount of merger challenges – and their relevance to the result of merger cases – is expected to increase. Finally, there continues to be some expectation that CADE will take steps to encourage private damage claims for antitrust offences. The SG has initiated investigations concerning several public bids, and CADE executed some settlement agreements with companies involved in public bids or contracts, or both. In December, three other proceedings were initiated to investigate cartels in public bids. The proceedings are focused on the construction of the Mario Covas ring road highway22 in São Paulo, the construction of São Paulo’s road system programme,23 and the construction of railways in seven states and in the Federal District.24 These investigations, related to Operation Car Wash, originated from leniency agreements executed with Odebrecht and Camargo Correia. e implement an effective compliance programme. On 6 March 2013, CADE enacted Regulation No. 5/2013, which modified the rules regarding settlements. The purpose of this Regulation was to increase the incentives for companies to cooperate by adding more predictability and transparency regarding the amount of contribution to be paid. It contains guidelines on the levels of the settling sums to be paid by settling parties, which will vary depending on, inter alia, the level of cooperation and the moment of the investigation. Parties who are being investigated for cartel behaviour, however, need to acknowledge their participation in the violation in order to be able to settle. Since its enactment, over 200 settlements have been executed under the new Regulation.31 In 2017, the Administrative Tribunal and the SG negotiated a total of 75 settlement agreements in cases involving several markets; four settlements were rejected by the Tribunal, and one became moot.32 The resolution of cartel investigations through settlements proved to be a very effective tool to end investigations that otherwise could take years to be decided, releasing a significant amount of public resources that could be redirected to other investigations in Brazil. An examination of cases initiated and concluded in recent years suggests that the investigation of cartels continues to be an enforcement priority for CADE. In 2017, CADE executed an all-time high number of leniency agreements and settlement agreements, many of which were related to Operation Car Wash. Since many proceedings have originated from these agreements, it is also expected that the SG will soon send more cases to CADE’s Tribunal. In 2017, CADE devoted a substantial amount of resources to the investigations and leniency agreements related to Operation Car Wash, and it is expected that they will continue to absorb a significant part of CADE’s enforcement capabilities throughout 2018. This may have the side effects of delaying other investigations and of preventing CADE from pursuing new ones. This scenario highlights the importance of boosting CADE’s human and financial resources as soon as possible, as CADE has been historically understaffed. In spite of the agency’s strong commitment to efficient enforcement and continuing developments in recent years, there is a risk that certain antitrust violations may go undetected and unpunished to the detriment of free competition and of Brazilian consumers due to a lack of sufficient personnel and resources. In 2017, CADE’s new General Superintendent affirmed in public speeches that the investigation of unilateral anticompetitive behaviour will be a priority in the following years. Below we discuss some relevant 2017 developments regarding the few cases involving abuse of dominance. In February 2017, CADE’s Tribunal approved a settlement agreement with Instituto Aço Brasil36 to end a formal administrative proceeding37 investigating the institute for allegedly filing misleading lawsuits in order to harm its competitors – a conduct commonly known as ‘sham litigation’. CADE and Instituto Aço Brasil settled a contribution amount of 271,300 reais, and Instituto Aço Brasil was not required to acknowledge any wrongdoing. The SG also dismissed a case related to zero-rating policies of four major Brazilian telecom operators in August 2017. This case is explained in further detail in Section IV. CADE’s enforcement priorities were clearly focused on fighting cartels, meaning that cases involving unilateral conduct represented a lower proportion of CADE’s enforcement activities. Public speeches by competition authorities indicate a possible shift on this policy and more enforcement in this area. There was no noticeable change in the level of enforcement against abuse of dominance, and there is a significant backlog of old cases awaiting resolution. In any case, CADE is promising to be more active in pursuing unilateral conduct investigations, and it will be important to track closely how its efforts to accomplish this will unfold in 2018. In 2016, the SG opened an investigation into the zero-rating policies of four major Brazilian telecom operators.41 The investigation was the result of a complaint filed by the Federal Prosecutor’s Office at CADE, which argued that zero-rating policies entail market foreclosure to the detriment of competition in the mobile apps segment, and ultimately raise prices for consumers. CADE dismissed the case in August 2017, stating that there was no evidence that the zero-rating policy distorts competition or raises entry barriers in the market of software for mobile phones. The SG also stated that there are similar legitimate policies in the telecom industry (e.g., toll-free telephone numbers and the receiving party pays policy), and in the broadcasting industry (with free channels paid for only by advertisers), and highlighted that the zero-rating policy originated from competition in the market for mobile communication. It is also worth noting that CADE affirmed that it has no jurisdiction to investigate and decide on possible net-neutrality investigations, and that it limited its assessment to whether zero-rating practices could limit competition. 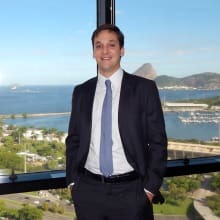 The increase in cooperation between CADE and various regulatory agencies, and the cases involving regulated markets that have been subject to CADE’s scrutiny, suggest that CADE will continue to play an important role in shaping the regulatory framework of several industries in Brazil. CADE is expected to continue to enforce competition law in regulated sectors, particularly where sectoral regulation fails to prevent and repress practices that may be harmful to competition. While CADE did not block a single merger case in 2016, CADE blocked three mergers in 2017. CADE reviewed several high-profile merger cases in 2017, including transactions that were approved subject to sophisticated remedies packages (including structural and behavioural commitments). This is a positive effect of the merger control system enacted in 2012, which provides better incentives and a more suitable legal framework to encourage CADE and parties to seek negotiated solutions in merger cases. e a restriction on the acquisition of financial institutions and management consortia. On 13 December 2017, the Tribunal granted the parties to a transaction a preliminary authorisation to close it before the final antitrust clearance on merger case No. 08700.007756/2017-51. The transaction involved Excelence BV’s acquisition of a 60 per cent stake in Rio de Janeiro Aeroportos (Rio Aeroportos) held by Odebrecht. Rio Aeroportos controls the concessionaire of Aeroporto Internacional Carlos Jobim (Galeão). CADE has proved capable of efficiently examining simple transactions under a pre-merger review system, overcoming the difficulties of a limited staff and a lack of experience of the new model. Nevertheless, there are aspects of the interpretation and implementation of the new Competition Act regarding merger control that are still unclear. The improvement of the Brazilian merger control system continues to be on CADE’s agenda, as demonstrated by the new regulations and procedural matters enacted in 2017. In the area of anti-cartel enforcement, the Administrative Tribunal is expected to decide various cases that were reviewed by the SG in 2017 and that have been under investigation for a few years. The decisions rendered in these cases and the approach the SG may take with respect to new investigations are issues that deserve the attention of the antitrust and business communities, as they may frame the enforcement environment for the next few years. On the merger front, the Tribunal is also expected to decide high-profile mergers, including the acquisition of Liquigás by Ultragaz57 and the acquisition of XP Investimentos’ stake by Itaú.58 The SG has recommended blocking the Liquigás/Ultragaz deal and approving the Itaú/XP merger subject to conditions. Developments in recent years have shown Brazil to be a dynamic jurisdiction for competition law. The new competition law framework, which has been in place for almost six years, has been reasonably successful so far. However, it is natural that new challenges will appear as it develops. One significant concern is the risk that CADE may be over-influenced by and pressured from a political perspective, given that several cartel investigations that derived from the Car Wash Operation affect several Brazilian high-level authorities and politicians. Therefore, the risk of political appointments to key positions within CADE may increase, and this deserves attention. In any case, CADE has already developed solid institutional foundations inspired by the best international practices in competition law enforcement, and has continuously improved. Therefore, CADE is well positioned to successfully deal with all these challenges adequately, given the difficulties that it has already overcome and considering the overall evolution of competition law and policy in Brazil. CADE has also been able to convince Congress to increase its annual budget, which is expected to translate in more resources to increase competition enforcement in the country. 1 Mariana Villela and Leonardo Maniglia Duarte are partners and João Marcelo Lima is an associate at Veirano Advogados. 2 The new Brazilian Competition Act (Law No. 12,529/2011). 3 Broadly, the SG is in charge of investigating anticompetitive conduct and approving merger cases that do not raise competition concerns; the Administrative Tribunal is responsible for rendering decisions on all investigations of anticompetitive conduct and for deciding merger cases that may present competition concerns; and the Department of Economic Studies is responsible for issuing non-binding economic opinions and for carrying out economic studies in general. 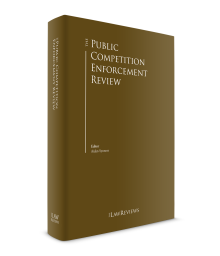 4 See OECD, ‘Competition Law and Policy in Brazil: a Peer Review, 2010’, available at www.oecd.org/daf/competition/45154362.pdf. 5 Based on data for the first six months of 2017. See http://www.cade.gov.br/servicos/imprensa/balancos-e-apresentacoes/balanco-mandato-sg-2014-2017.pdf/view. 9 The Search and Seizure Operations Manual and the SG’s Internal Manual for Mergers reviewed under the Regular Procedure. The Portuguese versions of the manuals are available at http://www.cade.gov.br/acesso-a-informacao/publicacoes-institucionais/guias-e-manuais-administrativos-e-procedimentais. 10 The Guidelines for Cease and Desist Agreements for Cartel and the Guidelines on Cade’s Antitrust Leniency Program. Both guidelines have English versions. However, CADE did not update the English versions in 2017. The ‘Guidelines on Cease and Desist Agreements for Cartel’ are available at http://www.cade.gov.br/acesso-a-informacao/publicacoes-institucionais/guias_do_Cade/guidelines_tcc-1.pdf and the Guidelines for Cade’s Antitrust Leniency Program are available at http://www.cade.gov.br/acesso-a-informacao/publicacoes-institucionais/guias_do_Cade/guidelines-cades-antitrust-leniency-program-1.pdf. 18 For additional information in this regard, please see the presentation of SG’s balance sheet for mid-2014 to mid-2017, available in Portuguese only at http://www.cade.gov.br/servicos/imprensa/balancos-e-apresentacoes/balanco-mandato-sg-2014-2017.pdf/view. 20 CADE, Administrative Proceeding No. 08700.004468/2017-44. 21 CADE, Administrative Proceeding No. 08700.007278/2015-17. See http://en.cade.gov.br/press-releases/cade2019s-general-superintendence-investigates-bid-rigging-in-seven-airports-cafeterias2019-bids. 22 CADE, Administrative Proceeding No. 08700.003067/2009-67. 23 CADE, Administrative Proceeding No. 08700.003240/2017-37. 25 CADE, Administrative Proceeding No. 08012.008859/2009-86. See http://en.cade.gov.br/press-releases/cade-signs-agreement-in-cartel-investigation-regarding-the-market-of-fuel-resale-in-the-federal-district. 26 CADE, Administrative Proceeding No. 08700.003067/2009-67. 27 CADE, Administrative Proceeding No. 08012.009382/2010-90. 31 Settlement by ABB Ltda, which acknowledged its participation in an international cartel that supposedly affected the markets for manufacturing and installation of underground high-voltage cables and submarine high and low-voltage cables. See CADE, Administrative Proceedings Nos. 08012.003970/2010-10 and 08700.008576/2012-81. 36 CADE, Settlement No. 08700.008345/2016-00. 37 CADE, Administrative Proceeding No. 08012.001594/2011-18. 39 CADE, Administrative Proceeding No. 08012.002673/2007-51. See http://en.cade.gov.br/press-releases/cade2019s-general-superintendence-recommends-the-condemnation-of-the-brazilian-post. 41 CADE, Administrative Inquiry No. 08700.004314/2016-71. 45 CADE, Concentration Act No. 08700.006185/2016-56. See http://en.cade.gov.br/press-releases/cade-blocks-estacio2019s-acquisition-by-kroton. 46 CADE, Concentration Act No. 08700.006444/2016-49. See http://en.cade.gov.br/press-releases/cade-vetoed-the-acquisition-of-alesat-by-ipiranga. 47 CADE, Concentration Act No. 08700.007553/2016-83. See http://en.cade.gov.br/press-releases/cade-disapproves-the-acquisition-of-mataboi-by-jbj. 48 CADE, Concentration Act No. 08700.010790/2015-41. See http://en.cade.gov.br/press-releases/cade-authorizes-the-acquisition-of-citibank-retail-business-by-itau-unibanco. 49 CADE, Concentration Act No. 08700.004860/2016-11. See http://en.cade.gov.br/press-releases/cade-approves-with-restrictions-the-transaction-between-bm-f-bovespa-and-cetip. 50 CADE, Concentration Act No. 08700.001390/2017-14. See http://en.cade.gov.br/press-releases/time-warner2019s-purchase-by-at-t-is-approved-with-restrictions. 51 CADE, Concentration Act No. 08700.005937/2016-61. See http://en.cade.gov.br/press-releases/merger-between-dow-and-dupont-is-approved-with-restrictions. 52 CADE, Concentration Act No. 08700.002165/2017-97. 53 CADE, Concentration Act No. 08700.001097/2017-49. 56 The Portuguese version of the manual is available at: http://www.cade.gov.br/acesso-a-informacao/publicacoes-institucionais/guias-e-manuais-administrativos-e-procedimentais. 57 CADE, Concentration Act No. 08700.002155/2017-51. See http://en.cade.gov.br/press-releases/cade2019s-general-superintendence-concludes-opinion-on-transaction-between-ultragaz-and-liquigas. 58 CADE, Concentration Act No. 08700.004431/2017-16. See http://en.cade.gov.br/press-releases/cade2019s-general-superintendence-concludes-opinion-on-transaction-between-xp-and-itau.